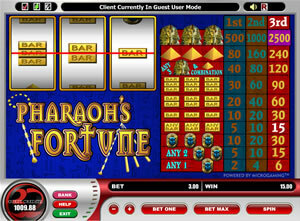 These days, online slot players are used to machines that have five reels and up to fifty paylines. But for many, playing these type of slots is way too hectic. They don't need that many reels or nearly that many paylines. Either that or they are just nostalgic for the old days of the "one-armed bandits", the old machines where you would put your coin in and pull the crank to spin the reels. Microgaming and several other software developers, including Party Gaming, Vegas Technology and Playtech, have come up with the answer for the gamers seeking a slower pace, a nostaligic experience or both. 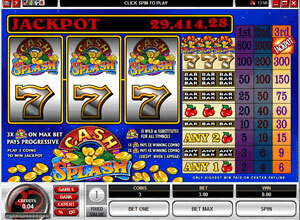 They have developed online slots that have only three reels and one payline. 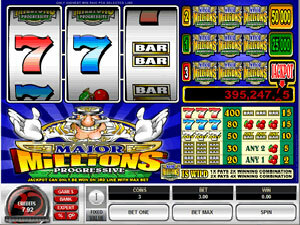 But these "Classic Slots" still offer huge payoffs and many of them offer progressive jackpots. 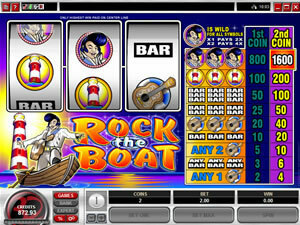 What can be called the "classic" classic slot game offers symbols casino players have long been familiar with. There are the cherries, the bars and the Lucky 7.s. Bets can be made up to 3 coins, with the maximum payoff coming for three 7s. The look of the Classic slot machines is, well, classic. Rather than a huge array of symbols and flashing lights, there are just a few buttons to push to make your bet. They sit next to the big "Spin" button. A cherry in the right column wins twice your bet, two cherries pay three times and all three cherries pay 10 coins for each coin bet. The payoffs keep going up until you reach the biggest prize for three 7.s, which pays 2500 coins. There are literally dozens of variations of the classic game, all with one payline. Most have three reels, but there are also some with four and five slots available at your online casino. Among the many variations are such popular games as "Fruit Salad", featuring a number of classic symbols including bananas, lemons, plums, cherries and watermelons. The jackpot symbol is a plate of fruit salad. Hit three of those plates and you win 3,000 coins. The other classic slot games all have their own distinctive features and usually have a unique jackpot figure. "Blackjack Bonanza Slots", for instance, has the jack from a deck of cards as its most important symbol. If you played the maximum three coins and get three Jacks on your payline, you collect 4000 coins. Another classic slot is called "8 Ball" featuring the numbers as if they were balls on a pool table. The big prize comes when you get three 8 balls on one line. So, even though they are less complicated than most of their modern competitors, classic slot machines offer large payoffs and some of them have progressive jackpots available. 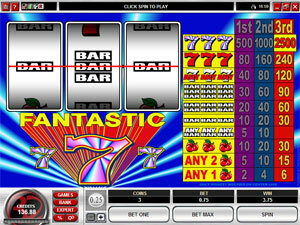 These online slots show that it’s not necessary to have dozens of paylines to have fun-or to make a lot of money!